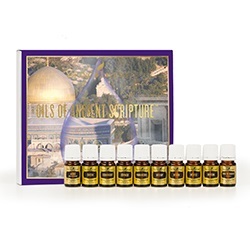 The Oils of Ancient Scripture™ set contains 10 oils from the most significant plants, botanicals, materials, and resins in the Bible—from Cypress (Isaiah 44:14) to “the rose of Sharon” (Song of Solomon 2:1). With the refreshing scents of Myrtle and Cedarwood and the rich fragrances of Frankincense and Myrrh, this kit is designed to help you savor and enjoy the beautiful aromas and intriguing histories of these precious, pure essential oils. Aloes (Sacred Sandalwood): Apply 2–4 drops directly to desired area. Dilution not required, except for the most sensitive skin. Use as needed. Diffuse up to 1 hour 3 times daily. 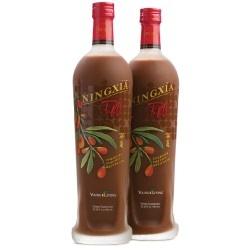 Cassia: Dilute 1 drop with 4 drops of V-6™ or olive oil. Test on small area of skin on the underside of arm. Then apply to desired area as needed. Cedarwood Essential Oil: Apply 2–4 drops directly to desired area. Dilution not required, except for the most sensitive skin. Use as needed. Diffuse up to 1 hour 3 times daily. Cypress Essential Oil: Apply 2–4 drops directly to desired area. Dilution not required, except for the most sensitive skin. Use as needed. Diffuse up to 1 hour 3 times daily. Frankincense Essential Oil: Apply 2–4 drops directly to desired area. Dilution not required, except for the most sensitive skin. Use as needed. Diffuse up to 1 hour 3 times daily. Hyssop Essential Oil: Dilute 1 drop with 1 drop of V-6™ or olive oil and apply topically to desired area as needed. 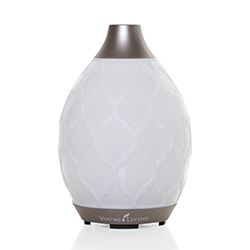 Diffuse up to 10 minutes 3 times daily. Myrrh Essential Oil: Apply 2–4 drops directly to desired area. Dilution not required, except for the most sensitive skin. Use as needed. Diffuse up to 1 hour 3 times daily. Myrtle Essential Oil: Dilute 1 drop with 1 drop of V-6™ or olive oil. Then apply topically to desired area as needed. 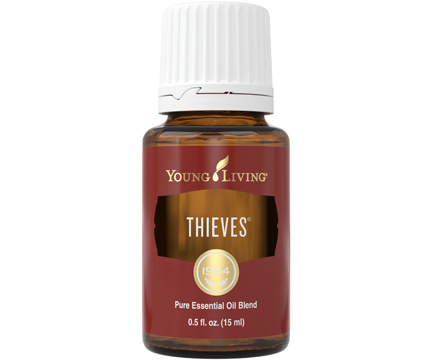 Diffuse up to 30 minutes 3 times daily. Onycha Essential Oil: Apply 2–4 drops directly to desired area. Dilution not required, except for the most sensitive skin. Use as needed. 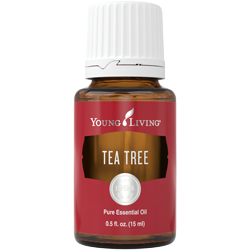 Diffuse up to 30 minutes 3 times daily. Cistus Essential Oil: Apply 2–4 drops directly to desired area. Dilution not required, except for the most sensitive skin. Use as needed. Diffuse up to 1 hour 3 times daily. For usage instructions and cautions, please refer to each product label.